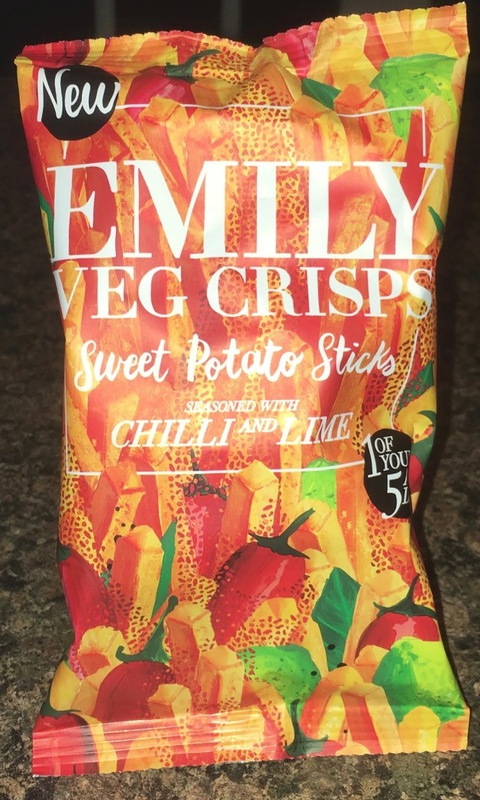 Always on the lookout for alternative snacks to crisps and nuts, I've tried a few of Emily's Veg crisps in the past and usually like them. I have a habit of avoiding sweet potato chips in restaurants, even though they're Cinnabar's favourite chips. I've never particularly been keen on them myself, as I prefer thick cut regular potato chips or fries dipped in tomato sauce or a hot sauce. I noticed these Sweet Potato Sticks are seasoned with Chilli and Lime. Frank's Chilli and Lime is one of my favourite hot sauces, so I figured I'd probably like Emily's version. 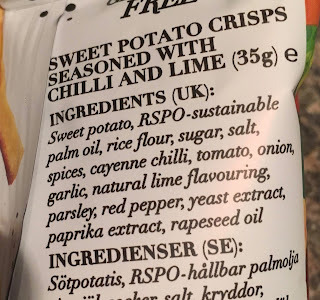 There were plenty of chillies and limes in amongst the sweet potato sticks on the front of the packet, so I was expecting these to have the same chilli burn I'm accustomed to. The 35g bag contains 178 calories, with 9.6g of fat, 13.2g of sugar, and 0.4g of salt. 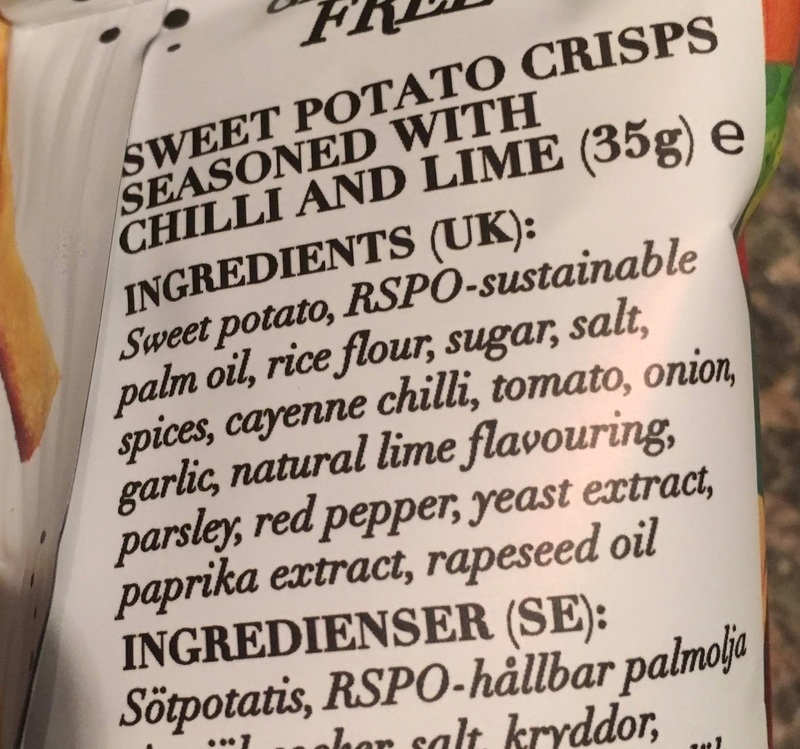 Ingredients included; sweet potato, RSPO-sustainable palm oil, rice flour, sugar, salt, spices, cayenne chilli, tomato, onion, garlic, natural lime flavouring, parsley, red pepper, yeast extract, paprika extract, and rapeseed oil.